Whey Protein Isolate (WPI) is premium ion exchange protein powder. 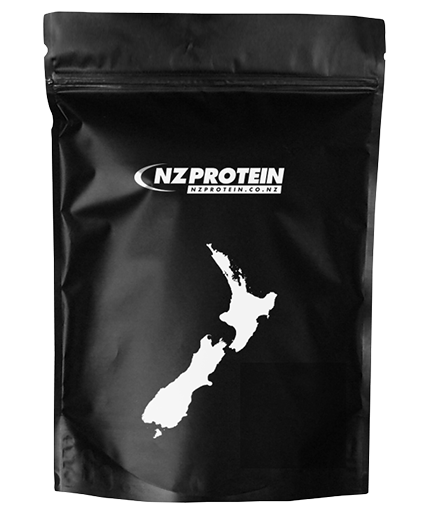 Our product is made in New Zealand (NZ) from grass fed cows. Whey is a milk product and is a by-product of cheese. Whey contains high levels of protein with some lactose and fat. Isolate (this product) is made by further refining whey to remove virtually all of the lactose and fat, leaving a product that's ultra-high in protein with a superior Branched Chain Amino Acid (BCAA) profile. WPI is a concentrated protein powder for muscle development. It has a very strong amino acid profile and is one of the most beneficial dietary sources of protein. It's very easy to digest and absorbs rapidly, making amino acids readily available to be utilised by muscles. It's a very beneficial protein supplement for post exercise when it is able to digest easily without fat to slow absorption. It has a pleasant, clean taste and is popular with athletes and those counting their macro-nutrients. It's also generally suitable for those with lactose intolerance. Our product is clean tasting and has a light fluffy texture because it contains virtually no fat. We don't add any thickeners to modify the texture. There are 32 servings in the 1kg pouch, with a cost that's more economical in bulk. WPI is a powerful muscle builder because it has all 21 amino acids needed for growth and repair. Each serving (unflavoured) contains over 29 grams of protein and nearly 8 grams of BCAAs. WPI has higher levels of leucine than other protein powders. In fact, WPI has more than 30% more leucine than WPC. Studies of leucine have shown it to be the most anabolic (growth promoting) amino acid for muscle growth and recovery. Leucine also contributes to the regular of blood sugar levels, growth hormone production and wound healing. WPI may assist atheles to benefit from increased lean muscle mass, reduced muscle atrophy during exercise, improved muscle repair and recovery (hyperatrophy), and an increased metabolic rate. WPI is high in cysteine and studies have shown that WPI can increase glutathione synthesis to improve antioxidant defence. Glutathione is a natural antioxidant that the body produces from several other amino acids - especially cysteine. We believe that the best milk proteins are made here in New Zealand (NZ) because the dairy cows that produce the milk used to create this product are naturally grass fed and not factory farmed. 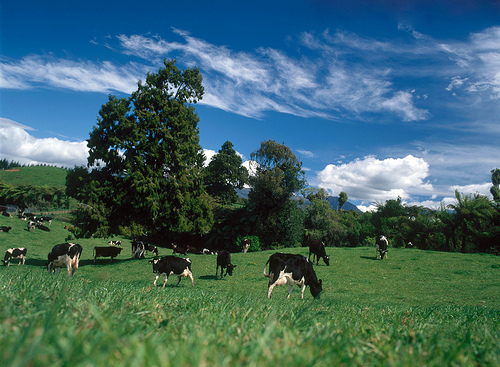 NZ has a temperate climate which allows natural grazing all year round. Dairy cows are not factory farmed in NZ and it is reflected in the quality of the milk produced which is related to the environment and their diet. 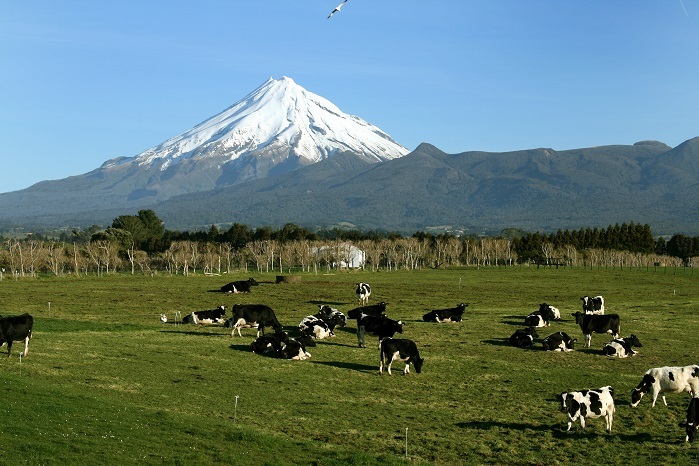 NZ is the largest dairy exporter in the world and has rigorous standards to protect the integrity of the industry. The NZ government enforces strict testing and quality standards for milk production, and antibiotics and hormones are managed carefully against being in milk. Though the fat in this product is very low, it is worth noting that cows that consume a grass fed diet produce milk with significantly more omega-3 fatty acids than grain fed cows. Pasture fed cows produce milk with nearly twice as much omega-3 than their counterpart, with a ratio of omega-3 vs omega-6 around 1:1. This may be another benefit as diets high in omega-3 are believed to support heart and immune system health. Grass fed cows have milk that's also richer in vitamin E and beta-carotene. Protein digestibility is a measure of the proportion of protein that is absorbed by the body. WPI scores 100% on this scale. Biological value is a measure of the proportion of absorbed protein that's retained for growth and maintenance. WPI scores 104 on this scale. The Protein Digestibility-Corrected Amino Acid Score (PDCAAS) is a rating that determines the bioavailibility of a protein. The maximum score is 1.0. WPI technically scores 1.0 because traditionally protein quality was measured against milk, which scored 1.0. Though the scale only goes up to 1.0, realistically it may be up to 1.21, which is the highest of all protein sources. Whey isolate is generally well tolerated, even by those with lactose intolerance. WPI is a milk product so those with milk intolerances and vegans should avoid this product. Whey isolate is whey that's further refined to remove virtually all lactose and fat. The resulting protein and BCAA levels are higher but it's also more expensive than whey concentrate (WPC). It is a superior protein powder because it has the most concentrated amino acid profile and is absorbed rapidly without fat to slow digestion. It surpasses other proteins for bioavailability so is the best protein powder for post exercise for those wanting maximum muscle recovery/development. It is more expensive so consideration must be taken whether WPI is better suited to your requirements vs regular WPC. This decision comes down to personal preference. While every care is taken, this product is processed in a facility that also handles egg, nut and gluten ingredients. Rated 5/5 Based on 30 customer reviews. Brilliant protein powder. The unflavoured protein powder mixes in perfectly is so many meals without changin the taste in any way. The only difference is the texture is slightly creamier but that’s still nice in most meals. I will definitely be getting more of this for my next order. It’s by far the best and most reasonably priced in the market. Best isolate I've tried, mixes easy in a shaker and goes great in smoothies in the blender too, I mix mine with just water and tastes like ice cream, love it! I have an allergy to whey. I've tried multiple other proteins. This is the only one I've found which tastes great and doesn't spark up my allergy! As well as my shakes I use it in all my baking too! Love it!!! Excellent service and nice tasting and textured product (currently using whey isolate protein powder - vanilla flavour). Just like all the previous reviews a great product and very happy with the results. Also like many others just wished it came in the larger quantities. Love this protein! Mixes so easily and great taste! My favourite is double chocolate!! Love these proteins!!! 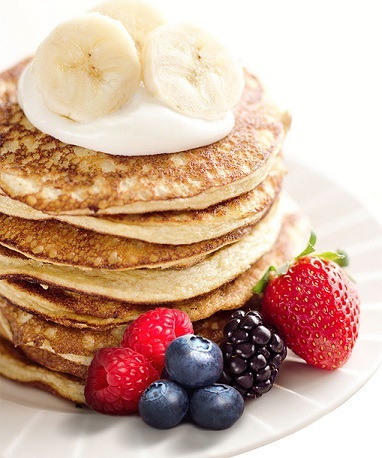 they mix well with oat for morning breakfast, amazing taste!!! Great proetein that tastes delicious especially the banna flavor!!! Best isolate protein in town! Vanilla and banna flavor are so delicious and clean! Great protein, mixes easily and the double chocolate flavour tastes like desset! Amazing taste! Great value for money as well! So many servings per Kg, and there's a really great amount of protein per scoop. Love the taste as well, really light and fluffy. Some of the nicest tasting isolate yet! I just wish they did 2.27 kilo bottles. This whey isolate is sooooo tasty, I got the vanilla flavour and it's lovely and light and mixes really well, even with milk and cereal in a bowl - no blender required! No yuck after taste and the powder itself is light and fluffy. Will def buy again! Not usually a Chocolate flavour fan, but the dark Choc is pretty damn tasty. Doesn't have that plastic-fake-sugar aftertaste that most Chocolate powders have. Mixes well & nice consistency. Great powder! Love that there are no fillers or flavours/sweeteners. I'm always happy with the speedy delivery from NZ Protein and you just won't find a better price anywhere. The dark chocolate flavour is incredible and it mixes well in my shaker without the agitator. Have been using WPI for a few years now and this is the best price I have found. Fantastic product , great value , taste and mixes well . Highly recommend !!!! Great mixability and really great quality. You can tell when you see it. I use this all the time now with fruits or on its own. 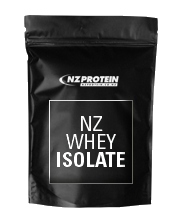 Ingredients: New Zealand whey protein isolate (contains soy lecithin), flavour, sweetener (sucralose). Ingredients: New Zealand whey protein isolate (contains soy lecithin), cocoa powder (contains soy lecithin), flavour, sweetener (sucralose). Ingredients: New Zealand Whey Protein Isolate (Contains Soy Lecithin), Flavour, Natural Colour (Beta-Carotene E160a), Sweetener (Sucralose). 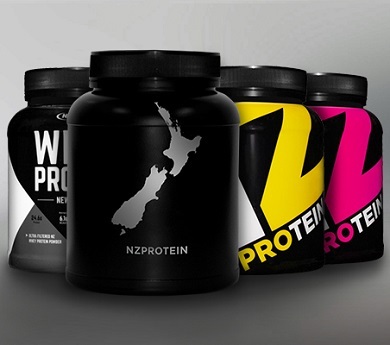 Ingredients: New Zealand whey protein isolate (contains soy lecithin). Ingredients: New Zealand whey protein isolate (contains soy lecithin), flavour, natural colour (red beet), sweetener (sucralose).